I have a soft spot for interpretations of the afterlife, especially those subverting traditional imagery of hell. So, if you’re reading this and thinking “Rad-Lands, you pinnacle of post-apocalyptic perfection, why are you talking about a game that has nothing to do with sandy deserts or radiation?” the answer is because Peace, Death is about general apocalyptic motifs, contains parodies of Mad-Max and Fallout characters, and it’s pretty fun. Here’s the premise: You are a reaper, one of billions living in the underworld. 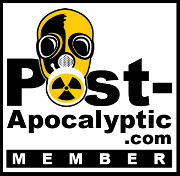 You can’t afford food, so you start working at Apocalypse Inc. as a customer service rep. Your boss is Death. The other three horsemen of the apocalypse are always plotting against him, sometimes inviting you to help in their schemes. On the factory floor, you have the simple job of deciding if a person goes to heaven, hell, or purgatory based on their face and personal effects. The Final Station: Dude, Where’s My Train? When The Final Station first hit Steam, there was a lot of excitement from people in the post-apocalyptic community. A game about a a weary eyed train conductor battling mutant hordes while rescuing survivors and gathering resources? Sounds great! On paper. In reality, I found The Final Station to be a repetitive and often confusing experience. The game has a complicated premise which is never fully explained. Our role in the story begins 106 years after something called the “First Visitation.” During this event, locomotive sized capsules, each of unknown make and material, fell from the sky. These mysterious devices dotted the entire planet. At least one capsule landed in every major city and noteworthy town. Shortly after this event, a mysterious spacecraft fell from the sky and crashed in the mountains. Humanity’s combined armed forces went to investigate the incident, but were completely wiped out. The capsules, many of which had dropped into literal city centers, then released an unknown gas. People exposed to this gas without protection gradually transformed into inky black zombie creatures. A century later, some believe the First Visitation is a myth (despite the zombie infestation and massive capsules that dot the landscape). Meanwhile, the surviving city-state governments have spent a century preparing their defense for the Second Visitation. After the monotony of Wasteland Angel and the abject failure of The Underground Man, I was delighted to learn of Gunman Taco Truck from Romero Games. The ultimate surprise came when I looked at the game on Steam and found that it was designed by a 9-year-old boy. With that said, Gunman Taco Truck is an addictive arcade game with a great sense of humor and a steep difficulty curve. Wasteland Angel is a post-nuclear themed vehicular arcade shooter from indie developers Octane Games. I like to pick up any post-apocalyptic games I can find, especially indie games, just to see how they use the setting. With that in mind, Wasteland Angel is a serviceable top-down arcade shooter, though not an especially great post-apocalyptic arcade shooter.